The Zen tradition has just two main meditative practices: shikantaza, or "just sitting"; and introspection guided by the powerful Zen teaching stories called koans. 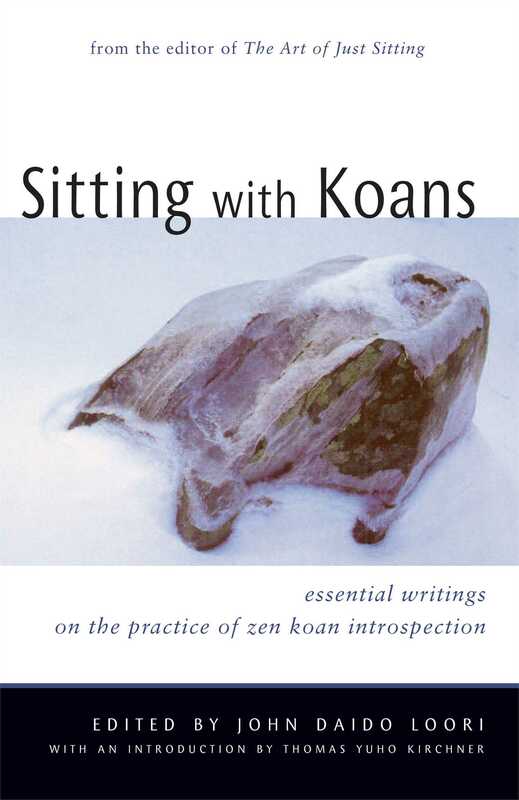 Following in the tradition of The Art of Just Sitting (endorsed as a "A book we have needed for a long, long time"), this new anthology from John Daido Loori illuminates the subtle practice of koan study from many different points of view. "Sitting with Koans provides an excellent start toward such understanding, offering the reader--whether veteran meditator, inquiring novice, or simply interested observer--a careful and well-organized presentation of classic and modern source materials on many aspects of traditional koan work." "Roshi Daido Loori has provided us with a valuable tool for appreciating the living tradition of koan study." "A handy compendium of some of the most important writings on the topic by scholars and Zen masters." "This is a remarkable collection of essays and sermons by eminent scholars and leading Zen masters covering a full range of historical materials and diverse approaches in the formation of koan studies in China and Japan, as well as commentary on numerous specific cases. One volume brilliantly put together by a premier modern interpreter of koans, John Daido Loori, illuminates both issues of historical development and the discovery of contemporary meaning and application in religious practice."